On today’s show, we recount the verbal brawl in the Oval Office over border security between President Donald Trump, House Minority Leader Nancy Pelosi and Senate Minority Leader Chuck Schumer. Saying it was unusual is an understatement. Pelosi And Schumer were at the White House meeting with the president to discuss attempts to avoid a government shutdown. It turned into a “battle royale” in full view of the media. It was clear from the start that the Democratic leaders were not expecting to start their discussion in front of cameras, as they immediately defaulted to their talking points. For his part, Trump gave no ground, insisting on $5 billion to build portions of the border wall he promised during his campaign. In the end, the idea of a government shutdown to secure the border was fully embraced by the president. We have all the audio. A new poll from liberal group MoveOn revealed the most popular choice for the Democratic Party’s nomination for president in 2020. While the “winner” has been reported as Robert “Beto” O’Rourke, the real leader, by more than 12 points, was “someone else.” Beto got 15.6 percent, someone else got 28.8 percent. They have a long way to go before they solidify, if they ever do, behind anyone. 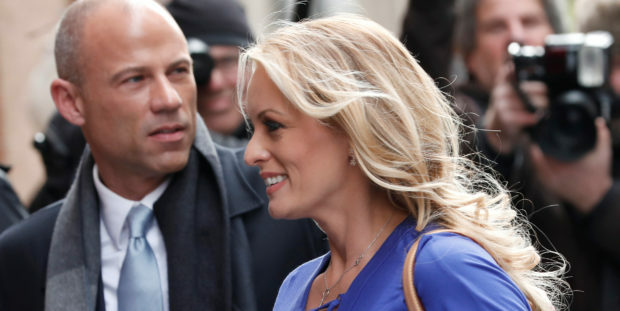 Stormy Daniels likely gagged on the news that she’s been ordered to pay the president’s lawyers almost $300,000. And not much can make her gag. Finally, Time magazine announced its “Person of the Year” and it was a complete cop-out. It was essentially a big pat on the backs of journalists, because no profession loves itself like journalists love themselves.